Blücherhof Estate is a district of Klocksin situated between Warn (Müritz) and Teterow about 20 km away in the Nossentiner/ Schwinzer Moor Nature Park. Blücherhof Estate is a district of Klocksin situated between Warn (Müritz) and Teterow about 20 km away in the Nossentiner/ Schwinzer Moor Nature Park. 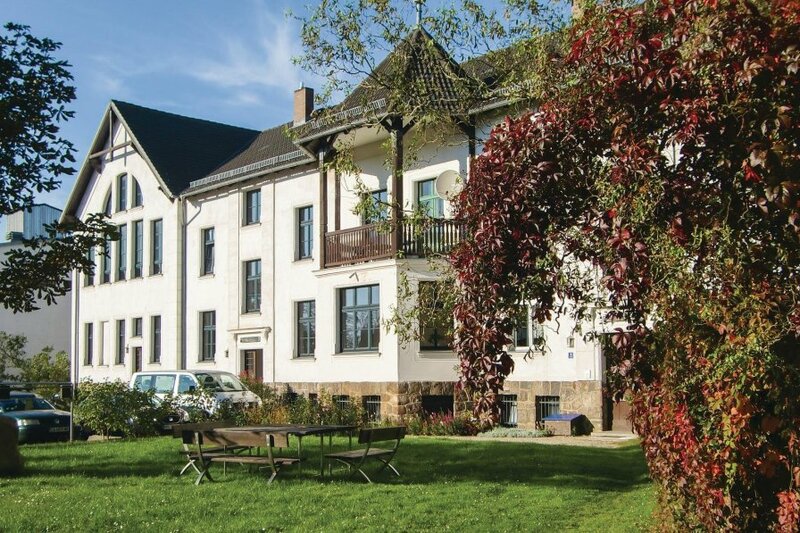 This place is an ideal starting point to enjoy your holiday in Mecklenburg Lake District. The cycling trails such as the Blue Müritz Band and Berlin-Copenhagen are located in Blücherhof. Take round trips on these trails that ranges between 10 km and 70 km. Teterow is an enchanting small town nestled in a gently sloped countryside surrounded by green forests and gorgeous lakes. Waren (Müritz) is the second largest town in the Mecklenburg-Pomeranian region. Do visit the Müritz Museum and the large fresh water aquarium in this town. Guests can feel welcome in the enchanting, rural idyll – Blücherhof Hostel and Haus am Schlosspark (the apartment DMV288). The holiday apartments are unique, convenient and sturdily furnished and are very lively. There is sauna which is shared, billiards, table tennis, washing machine (all these at extra charge) and a large, park-like area with sandbox and swings for children. Bicycle and row boat rentals are available in town. Meal and breakfast service are available on request. Cot and high chair for children is provided on prior intimation. One pet is allowed on request. The apartments DMV228 and DMV239 is on the ground floor. 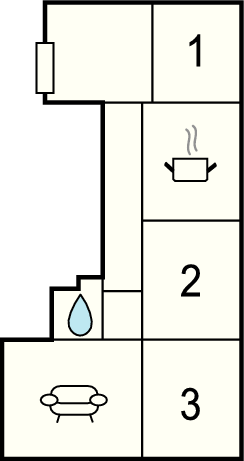 The apartment DMV229 is on the first floor. DMV278 is on the second floor with partial pitched roof. DMV288 is on the first floor with view of the palace. This apartment is made from brick or stone and was originally built in 1920 and refurbished in 2005. The agent has rated it as a three star property so it is a well-kept apartment, equipped with standard furniture. It is also good value for money. The apartmentIt is located in Klocksin, only 18km from Waren. It is set in a convenient location, 1.2km away from a lake. There's also a restaurant 4km away. You can also park on-site at no extra charge. The apartment is well equipped: it has a refrigerator, microwave and shared washing machine. The property has a sauna; it also has a barbecue and some garden furniture outside.